38Only valid on 2018 Mercedes-Benz Metris Vans. Qualified commercial customers only. 0.0% APR financing for 24 months at $41.67 per month, per $1,000 financed and 0.0% APR financing for 36 months at $27.78 per month, per $1,000 financed. Excludes leases and balloon contracts and National Fleet customers. Available only at participating authorized Mercedes-Benz Vans dealers through Mercedes-Benz Financial Services (MBFS). Must take delivery of vehicle by April 1, 2019. Specific vehicles are subject to availability and may have to be ordered. Subject to credit approval by MBFS. Actual rates, terms, down payment, and program eligibility will be determined by MBFS Credit Team based upon creditworthiness of customer. Program rates or terms may be changed or the program may be terminated at any time at the sole discretion of MBFS. Rate applies only to Mercedes-Benz Commercial van vehicles. To qualify, the total amount financed cannot exceed 110% of MSRP. See your authorized Mercedes-Benz Vans dealer for complete details on this and other finance offers. Offer valid through April 1, 2019. For a limited time, take advantage of 1.9% APR financing on a new 2018 Mercedes-Benz Metris Van. 39Only valid on 2018 Mercedes-Benz Metris Vans. Qualified commercial customers only. 1.9% APR financing for 48 months at $21.65 per month, per $1,000 financed. Excludes leases and balloon contracts and National Fleet customers. Available only at participating authorized Mercedes-Benz Vans dealers through Mercedes-Benz Financial Services (MBFS). Must take delivery of vehicle by April 1, 2019. Specific vehicles are subject to availability and may have to be ordered. Subject to credit approval by MBFS. Actual rates, terms, down payment, and program eligibility will be determined by MBFS Credit Team based upon creditworthiness of customer. Program rates or terms may be changed or the program may be terminated at any time at the sole discretion of MBFS. Rate applies only to Mercedes-Benz Commercial van vehicles. To qualify, the total amount financed cannot exceed 110% of MSRP. See your authorized Mercedes-Benz Vans dealer for complete details on this and other finance offers. Offer valid through April 1, 2019. For a limited time, take advantage of 2.9% APR financing on a new 2018 Mercedes-Benz Metris Van. 40Only valid on 2018 Mercedes-Benz Metris Metris Vans. Qualified commercial customers only. 2.9% APR financing for 60 months at $17.92 per month, per $1,000 financed. Excludes leases and balloon contracts and National Fleet customers. Available only at participating authorized Mercedes-Benz Vans dealers through Mercedes-Benz Financial Services (MBFS). Must take delivery of vehicle by April 1, 2019. Specific vehicles are subject to availability and may have to be ordered. Subject to credit approval by MBFS. Actual rates, terms, down payment, and program eligibility will be determined by MBFS Credit Team based upon creditworthiness of customer. Program rates or terms may be changed or the program may be terminated at any time at the sole discretion of MBFS. Rate applies only to Mercedes-Benz Commercial van vehicles. To qualify, the total amount financed cannot exceed 110% of MSRP. See your authorized Mercedes-Benz Vans dealer for complete details on this and other finance offers. Offer valid through April 1, 2019. For a limited time, take advantage of 3.9% APR financing on a new 2018 Mercedes-Benz Metris Van. 41Only valid on 2018 Mercedes-Benz Metris Vans. Qualified commercial customers only. 3.9% APR financing for 72 months at $15.60 per month, per $1,000 financed. Excludes leases and balloon contracts and National Fleet customers. Available only at participating authorized Mercedes-Benz Vans dealers through Mercedes-Benz Financial Services (MBFS). Must take delivery of vehicle by April 1, 2019. Specific vehicles are subject to availability and may have to be ordered. Subject to credit approval by MBFS. Actual rates, terms, down payment, and program eligibility will be determined by MBFS Credit Team based upon creditworthiness of customer. Program rates or terms may be changed or the program may be terminated at any time at the sole discretion of MBFS. Rate applies only to Mercedes-Benz Commercial van vehicles. To qualify, the total amount financed cannot exceed 110% of MSRP. See your authorized Mercedes-Benz Vans dealer for complete details on this and other finance offers. Offer valid through April 1, 2019. 58Available only to qualified customers for the 2018 Metris Cargo Van through Mercedes-Benz Financial Services at participating dealers through April 1, 2019. Not everyone will qualify. This FMV lease is based on a $369 monthly payment, for 48 months, with 15k annual miles, a base MSRP of $29,950, plus a Destination and Delivery fee of $995, a residual value of $13,306(43% of total MSRP), a $4,743 Capitalized Cost Reduction (which consists of MBUSA Lease Cash of $2,500, customer down payment of $1,160 and a suggested dealer contribution of $1,083). Dealer Contribution may vary and could affect your actual lease payment. 71Complimentary VanCARE Lease-End Protection offer applicable to Commercial Vans – FMV Leases for Model Year 2018 Metris Vans with 48 month lease term. Must meet Tier A or B credit approval as determined by MBFS. Complimentary VanCare Lease-End Protection will waive specified charges incurred by lessee for failing to meet the surrender conditions of the vehicle leased, up to the maximum amount waived of $7,500. VanCare Lease-End Protection does not cover any excess mileage charges, may not waive all charges incurred for failing to meet the Surrender Conditions, and may not waive the entire balance owed under the lease agreement. Certain exclusions apply. Please see dealer for more information. 60Available only to qualified customers for the 2018 Metris Passenger Van through Mercedes-Benz Financial Services at participating dealers through April 1, 2019. Not everyone will qualify. This FMV lease is based on a $369 monthly payment, for 48 months, with 15k annual miles, a base MSRP of $33,900, plus a Destination and Delivery fee of $995, a residual value of $13,260 (38% of total MSRP), a $8,745 Capitalized Cost Reduction (which consists of MBUSA Lease Cash of $4,000, a customer down payment of $3,175, and a suggested Dealer Contribution of $1,570). Dealer Contribution may vary and could affect your actual lease payment. 42 Offer valid only to qualified customers with purchase of 2018 or 2019 Metris Vans, or 2018 or 2019 Sprinter Vans not from new dealer stock. MasterSolutionsTM program vehicles are custom, special-order vehicles modified by the MasterSolutionsTM provider chosen by you (Including Auto Truck Group, Knapheide and Transit Works). Offer does not apply to Sprinter Worker, Metris Worker and fleet vehicles. Customers who purchase are able to get up to $1000 cash toward any MasterSolutionsTM Packages for Metris or up to $2000 cash toward any MasterSolutionsTM Packages for Sprinter. Exclusions may apply. MBUSA reserves the right to terminate, revise, or amend the program in its sole business discretion. Please see your authorized Mercedes-Benz dealer for details. Offer ends April 1, 2019. 76Only valid on 2018 Mercedes-Benz Sprinter Vans (excluding Sprinter Cab Chassis). Qualified commercial customers only. 1.9% APR financing for 24 months at $42.50 per month, per $1,000 financed and 1.9% APR financing for 36 months at $28.60 per month, per $1,000 financed. Excludes leases and balloon contracts and National Fleet customers. Available only at participating authorized Mercedes-Benz Vans dealers through Mercedes-Benz Financial Services (MBFS). Must take delivery of vehicle by April 1, 2019. Specific vehicles are subject to availability and may have to be ordered. Subject to credit approval by MBFS. Actual rates, terms, down payment, and program eligibility will be determined by MBFS Credit Team based upon creditworthiness of customer. Program rates or terms may be changed or the program may be terminated at any time at the sole discretion of MBFS. Rate applies only to Mercedes-Benz Commercial van vehicles. To qualify, the total amount financed cannot exceed 110% of MSRP. See your authorized Mercedes-Benz Vans dealer for complete details on this and other finance offers. Offer valid through April 1, 2019. Get 2.9% APR Financing for 48 months77! For a limited time, take advantage of 2.9% APR financing on a new 2018 Mercedes-Benz Sprinter Van. 77Only valid on 2018 Mercedes-Benz Sprinter Vans (excluding Sprinter Cab Chassis). Qualified commercial customers only. 2.9% APR financing for 48 months at $22.09 per month, per $1,000 financed. Excludes leases and balloon contracts and National Fleet customers. Available only at participating authorized Mercedes-Benz Vans dealers through Mercedes-Benz Financial Services (MBFS). Must take delivery of vehicle by April 1, 2019. Specific vehicles are subject to availability and may have to be ordered. Subject to credit approval by MBFS. Actual rates, terms, down payment, and program eligibility will be determined by MBFS Credit Team based upon creditworthiness of customer. Program rates or terms may be changed or the program may be terminated at any time at the sole discretion of MBFS. Rate applies only to Mercedes-Benz Commercial van vehicles. To qualify, the total amount financed cannot exceed 110% of MSRP. See your authorized Mercedes-Benz Vans dealer for complete details on this and other finance offers. Offer valid through April 1, 2019. Get 3.9% APR Financing for 60 months78! For a limited time, take advantage of 3.9% APR financing on a new 2018 Mercedes-Benz Sprinter Van. 78Only valid on 2018 Mercedes-Benz Sprinter (excluding Sprinter Cab Chassis). Qualified commercial customers only. 3.9% APR financing for 60 months at $18.37 per month, per $1,000 financed. Excludes leases and balloon contracts and National Fleet customers. Available only at participating authorized Mercedes-Benz Vans dealers through Mercedes-Benz Financial Services (MBFS). Must take delivery of vehicle by April 1, 2019. Specific vehicles are subject to availability and may have to be ordered. Subject to credit approval by MBFS. Actual rates, terms, down payment, and program eligibility will be determined by MBFS Credit Team based upon creditworthiness of customer. Program rates or terms may be changed or the program may be terminated at any time at the sole discretion of MBFS. Rate applies only to Mercedes-Benz Commercial van vehicles. To qualify, the total amount financed cannot exceed 110% of MSRP. See your authorized Mercedes-Benz Vans dealer for complete details on this and other finance offers. Offer valid through April 1, 2019. 80Available only to qualified customers for the 2018 Sprinter Cargo Van through Mercedes-Benz Financial Services at participating dealers through April 1, 2019. Not everyone will qualify. This FMV lease is based on a $519 monthly payment, for 48 months, with 15k annual miles, a base MSRP of $38,420, plus a Destination and Delivery fee of $995, a residual value of $14,189 (36% of total MSRP), a $6,257 Capitalized Cost Reduction (which consists of MBUSA Lease Cash of $2,000 and a customer down payment of $2,877, and a suggested dealer contribution of $1,380). Dealer Contribution may vary and could affect your actual lease payment. 82Complimentary VanCARE Lease-End Protection offer applicable to Commercial Vans – FMV Leases for Model Year 2018 Sprinter Vans with 48 month lease term. Must meet Tier A or B credit approval as determined by MBFS. Complimentary VanCare Lease-End Protection will waive specified charges incurred by lessee for failing to meet the surrender conditions of the vehicle leased, up to the maximum amount waived of $7,500. VanCare Lease-End Protection does not cover any excess mileage charges, may not waive all charges incurred for failing to meet the Surrender Conditions, and may not waive the entire balance owed under the lease agreement. Certain exclusions apply. Please see dealer for more information. 84 Offer valid only to qualified customers with purchase of 2018 or 2019 Metris Vans, or 2018 or 2019 Sprinter Vans not from new dealer stock. MasterSolutionsTM program vehicles are custom, special-order vehicles modified by the MasterSolutionsTM provider chosen by you (Including Auto Truck Group, Knapheide and Transit Works). Offer does not apply to Sprinter Worker, Metris Worker and fleet vehicles. Customers who purchase are able to get up to $1000 cash toward any MasterSolutionsTM Packages for Metris or up to $2000 cash toward any MasterSolutionsTM Packages for Sprinter. Exclusions may apply. MBUSA reserves the right to terminate, revise, or amend the program in its sole business discretion. Please see your authorized Mercedes-Benz dealer for details. Offer ends April 1, 2019. 81Available only to qualified customers for the 2018 Sprinter Passenger Van through Mercedes-Benz Financial Services at participating dealers through April 1, 2019. Not everyone will qualify. This FMV lease is based on a $609 monthly payment, for 48 months, with 15k annual miles, a base MSRP of $47,185, plus a Destination and Delivery fee of $995, a residual value of $18,790 (39% of total MSRP), a $7,637 Capitalized Cost Reduction (which consists of MBUSA Lease Cash of $2,000, a customer down payment of $3,951, and a suggested Dealer Contribution of $1,686). Dealer Contribution may vary and could affect your actual lease payment. 83Complimentary VanCARE Lease-End Protection offer applicable to Commercial Vans – FMV Leases for Model Year 2018 Sprinter Vans with 48 month lease term. Must meet Tier A or B credit approval as determined by MBFS. Complimentary VanCare Lease-End Protection will waive specified charges incurred by lessee for failing to meet the surrender conditions of the vehicle leased, up to the maximum amount waived of $7,500. VanCare Lease-End Protection does not cover any excess mileage charges, may not waive all charges incurred for failing to meet the Surrender Conditions, and may not waive the entire balance owed under the lease agreement. Certain exclusions apply. Please see dealer for more information. 96Available only to qualified customers for the 2018 Sprinter Passenger Van through Mercedes-Benz Financial Services at participating dealers through April 1, 2019. Not everyone will qualify. This FMV lease is based on a $689 monthly payment, for 36 months, with 15k annual miles, a base MSRP of $47,185, plus a Destination and Delivery fee of $995, a residual value of $21,681 (45% of total MSRP), a $7,564 Capitalized Cost Reduction (which consists of MBUSA Lease Cash of $2,000, a customer down payment of $3,878, and a suggested Dealer Contribution of $1,686). Dealer Contribution may vary and could affect your actual lease payment. 95Complimentary VanCARE Lease-End Protection offer applicable to Commercial Vans – FMV Leases for Model Year 2018 Sprinter Vans with 36 month lease term. Must meet Tier A or B credit approval as determined by MBFS. Complimentary VanCare Lease-End Protection will waive specified charges incurred by lessee for failing to meet the surrender conditions of the vehicle leased, up to the maximum amount waived of $7,500. VanCare Lease-End Protection does not cover any excess mileage charges, may not waive all charges incurred for failing to meet the Surrender Conditions, and may not waive the entire balance owed under the lease agreement. Certain exclusions apply. Please see dealer for more information. 94Available only to qualified customers for the 2018 Sprinter Cargo Van through Mercedes-Benz Financial Services at participating dealers through April 1, 2019. Not everyone will qualify. This FMV lease is based on a $589 monthly payment, for 36 months, with 15k annual miles, a base MSRP of $38,420, plus a Destination and Delivery fee of $995, a residual value of $16,948 (43% of total MSRP), a $6,021 Capitalized Cost Reduction (which consists of MBUSA Lease Cash of $2,000 and a customer down payment of $2,641, and a suggested dealer contribution of $1,380). Dealer Contribution may vary and could affect your actual lease payment. Get 4.9% APR Financing for 72 months79! For a limited time, take advantage of 4.9% APR financing on a new 2018 Mercedes-Benz Sprinter Van. 79Only valid on 2018 Mercedes-Benz Sprinter Vans (excluding Sprinter Cab Chassis). Qualified commercial customers only. 4.9% APR financing for 72 months at $16.06 per month, per $1,000 financed. Excludes leases and balloon contracts and National Fleet customers. Available only at participating authorized Mercedes-Benz Vans dealers through Mercedes-Benz Financial Services (MBFS). Must take delivery of vehicle by April 1, 2019. Specific vehicles are subject to availability and may have to be ordered. Subject to credit approval by MBFS. Actual rates, terms, down payment, and program eligibility will be determined by MBFS Credit Team based upon creditworthiness of customer. Program rates or terms may be changed or the program may be terminated at any time at the sole discretion of MBFS. Rate applies only to Mercedes-Benz Commercial van vehicles. To qualify, the total amount financed cannot exceed 110% of MSRP. See your authorized Mercedes-Benz Vans dealer for complete details on this and other finance offers. Offer valid through April 1, 2019. For a limited time, take advantage of $3,000 Consumer Cash on a new 2018 Metris Passenger van. 162Offer valid only to qualified customers for purchase or lease of eligible 2018 Mercedes-Benz Metris Passenger Vans. Cash back only available on the purchase or lease of a MY18 Metris Passenger Van from new dealer stock. See your authorized Mercedes-Benz Vans dealer for full offer details. Offer ends April 1, 2019. 101Available only to qualified customers for the 2018 Sprinter Passenger Van through Mercedes-Benz Financial Services at participating dealers through April 1, 2019. Not everyone will qualify. This FMV lease is based on a $729 monthly payment, for 24 months, with 15k annual miles, a base MSRP of $47,185, plus a Destination and Delivery fee of $995, a residual value of $27,463 (57% of total MSRP), a $7,516 Capitalized Cost Reduction (which consists of MBUSA Lease Cash of $2,000, a customer down payment of $3,830, and a suggested Dealer Contribution of $1,686). Dealer Contribution may vary and could affect your actual lease payment. 99Complimentary VanCARE Lease-End Protection offer applicable to Commercial Vans – FMV Leases for Model Year 2018 Sprinter Vans with 24 month lease term. Must meet Tier A or B credit approval as determined by MBFS. Complimentary VanCare Lease-End Protection will waive specified charges incurred by lessee for failing to meet the surrender conditions of the vehicle leased, up to the maximum amount waived of $7,500. VanCare Lease-End Protection does not cover any excess mileage charges, may not waive all charges incurred for failing to meet the Surrender Conditions, and may not waive the entire balance owed under the lease agreement. Certain exclusions apply. Please see dealer for more information. 100Available only to qualified customers for the 2018 Sprinter Cargo Van through Mercedes-Benz Financial Services at participating dealers through April 1, 2019. Not everyone will qualify. This FMV lease is based on a $629 monthly payment, for 24 months, with 15k annual miles, a base MSRP of $38,420, plus a Destination and Delivery fee of $995, a residual value of $21,678 (55% of total MSRP), a $6,100 Capitalized Cost Reduction (which consists of MBUSA Lease Cash of $2,000 and a customer down payment of $2,720, and a suggested dealer contribution of $1,380). Dealer Contribution may vary and could affect your actual lease payment. 88Available only to qualified customers for the 2018 Metris Cargo Van through Mercedes-Benz Financial Services at participating dealers through April 1, 2019. Not everyone will qualify. This FMV lease is based on a $409 monthly payment, for 36 months, with 15k annual miles, a base MSRP of $29,950, plus a Destination and Delivery fee of $995, a residual value of $15,163 (49% of total MSRP), a $4,852 Capitalized Cost Reduction (which consists of MBUSA Lease Cash of $2,500, customer down payment of $1,269 and a suggested dealer contribution of $1,083). Dealer Contribution may vary and could affect your actual lease payment. 89Complimentary VanCARE Lease-End Protection offer applicable to Commercial Vans – FMV Leases for Model Year 2018 Metris Vans with 36 month lease term. Must meet Tier A or B credit approval as determined by MBFS. Complimentary VanCare Lease-End Protection will waive specified charges incurred by lessee for failing to meet the surrender conditions of the vehicle leased, up to the maximum amount waived of $7,500. VanCare Lease-End Protection does not cover any excess mileage charges, may not waive all charges incurred for failing to meet the Surrender Conditions, and may not waive the entire balance owed under the lease agreement. Certain exclusions apply. Please see dealer for more information. 90Available only to qualified customers for the 2018 Metris Passenger Van through Mercedes-Benz Financial Services at participating dealers through April 1, 2019. Not everyone will qualify. This FMV lease is based on a $409 monthly payment, for 36 months, with 15k annual miles, a base MSRP of $33,900, plus a Destination and Delivery fee of $995, a residual value of $15,354(44% of total MSRP), a $8,641 Capitalized Cost Reduction (which consists of MBUSA Lease Cash of $4,000, a customer down payment of $3,071, and a suggested Dealer Contribution of $1,570). Dealer Contribution may vary and could affect your actual lease payment. 108Available only to qualified customers for the 2018 Metris Cargo Van through Mercedes-Benz Financial Services at participating dealers through April 1, 2019. Not everyone will qualify. This FMV lease is based on a $479 monthly payment, for 24 months, with 15k annual miles, a base MSRP of $29,950, plus a Destination and Delivery fee of $995, a residual value of $17,329 (56% of total MSRP), a $4,790 Capitalized Cost Reduction (which consists of MBUSA Lease Cash of $2,500, customer down payment of $1,207 and a suggested dealer contribution of $1,083). Dealer Contribution may vary and could affect your actual lease payment. 109Complimentary VanCARE Lease-End Protection offer applicable to Commercial Vans – FMV Leases for Model Year 2018 Metris Vans with 24 month lease term. Must meet Tier A or B credit approval as determined by MBFS. Complimentary VanCare Lease-End Protection will waive specified charges incurred by lessee for failing to meet the surrender conditions of the vehicle leased, up to the maximum amount waived of $7,500. VanCare Lease-End Protection does not cover any excess mileage charges, may not waive all charges incurred for failing to meet the Surrender Conditions, and may not waive the entire balance owed under the lease agreement. Certain exclusions apply. Please see dealer for more information. 110Available only to qualified customers for the 2018 Metris Passenger Van through Mercedes-Benz Financial Services at participating dealers through April 1, 2019. Not everyone will qualify. This FMV lease is based on a $509 monthly payment, for 24 months, with 15k annual miles, a base MSRP of $33,900, plus a Destination and Delivery fee of $995, a residual value of $17,099 (49% of total MSRP), a $8,257 Capitalized Cost Reduction (which consists of MBUSA Lease Cash of $4,000, a customer down payment of $3,036, and a suggested Dealer Contribution of $1,221). Dealer Contribution may vary and could affect your actual lease payment. 158Available only to qualified customers for the 2019 Metris Cargo Van through Mercedes-Benz Financial Services at participating dealers through April 1, 2019. Not everyone will qualify. This FMV lease is based on a $409 monthly payment, for 48 months, with 15k annual miles, a base MSRP of $30,700, plus a Destination and Delivery fee of $1,195, a residual value of $14,353 (45% of total MSRP), a $3,552 Capitalized Cost Reduction (which consists of MBUSA Lease Cash of $1,000, a customer down payment of $2,233, and a suggested dealer contribution of $319). Dealer Contribution may vary and could affect your actual lease payment. 159Complimentary VanCARE Lease-End Protection offer applicable to Commercial Vans – FMV Leases for Model Year 2019 Metris Vans with 48 month lease term. Must meet Tier A or B credit approval as determined by MBFS. Complimentary VanCare Lase-End Protection will waive specified charges incurred by lessee for failing to meet the surrender conditions of the vehicle leased, up to the maximum amount waived of $7,500. VanCare Lease-End Protection does not cover any excess mileage charges, may not waive all charges incurred for failing to meet the Surrender Conditions, and may not waive the entire balance owed under the lease agreement. Certain exclusions apply. Please see dealer for more information. 155Available only to qualified customers for the 2019 Metris Cargo Van through Mercedes-Benz Financial Services at participating dealers through April 1, 2019. Not everyone will qualify. This FMV lease is based on a $449 monthly payment, for 36 months, with 15k annual miles, a base MSRP of $30,700, plus a Destination and Delivery fee of $1,195, a residual value of $16,266 (51% of total MSRP), a $3,839 Capitalized Cost Reduction (which consists of MBUSA Lease Cash of $1,000, a customer down payment of $2,520, and a suggested dealer contribution of $319). Dealer Contribution may vary and could affect your actual lease payment. 156Complimentary VanCARE Lease-End Protection offer applicable to Commercial Vans – FMV Leases for Model Year 2019 Metris Vans with 36 month lease term. Must meet Tier A or B credit approval as determined by MBFS. Complimentary VanCare Lase-End Protection will waive specified charges incurred by lessee for failing to meet the surrender conditions of the vehicle leased, up to the maximum amount waived of $7,500. VanCare Lease-End Protection does not cover any excess mileage charges, may not waive all charges incurred for failing to meet the Surrender Conditions, and may not waive the entire balance owed under the lease agreement. Certain exclusions apply. Please see dealer for more information. 152Available only to qualified customers for the 2019 Metris Cargo Van through Mercedes-Benz Financial Services at participating dealers through April 1, 2019. Not everyone will qualify. This FMV lease is based on a $519 monthly payment, for 24 months, with 15k annual miles, a base MSRP of $30,700, plus a Destination and Delivery fee of $1,195, a residual value of $18,818 (59% of total MSRP), a $3,727 Capitalized Cost Reduction (which consists of MBUSA Lease Cash of $1,000, a customer down payment of $2,408, and a suggested dealer contribution of $319). Dealer Contribution may vary and could affect your actual lease payment. 153Complimentary VanCARE Lease-End Protection offer applicable to Commercial Vans – FMV Leases for Model Year 2019 Metris Vans with 24 month lease term. Must meet Tier A or B credit approval as determined by MBFS. Complimentary VanCare Lase-End Protection will waive specified charges incurred by lessee for failing to meet the surrender conditions of the vehicle leased, up to the maximum amount waived of $7,500. VanCare Lease-End Protection does not cover any excess mileage charges, may not waive all charges incurred for failing to meet the Surrender Conditions, and may not waive the entire balance owed under the lease agreement. Certain exclusions apply. Please see dealer for more information. 160Available only to qualified customers for the 2019 Metris Passenger Van through Mercedes-Benz Financial Services at participating dealers through April 1, 2019. Not everyone will qualify. This FMV lease is based on a $469 monthly payment, for 48 months, with 15k annual miles, a base MSRP of $34,800, plus a Destination and Delivery fee of $1,195, a residual value of $14,398 (40% of total MSRP), a $5,067 Capitalized Cost Reduction (which consists of MBUSA Lease Cash of $1,000, a customer down payment of $3,707, and a suggested Dealer Contribution of $360). Dealer Contribution may vary and could affect your actual lease payment. 159Complimentary VanCARE Lease-End Protection offer applicable to Commercial Vans – FMV Leases for Model Year 2019 Metris Vans with 48 month lease term. Must meet Tier A or B credit approval as determined by MBFS. Complimentary VanCare Lease-End Protection will waive specified charges incurred by lessee for failing to meet the surrender conditions of the vehicle leased, up to the maximum amount waived of $7,500. VanCare Lease-End Protection does not cover any excess mileage charges, may not waive all charges incurred for failing to meet the Surrender Conditions, and may not waive the entire balance owed under the lease agreement. Certain exclusions apply. Please see dealer for more information. 157Available only to qualified customers for the 2019 Metris Passenger Van through Mercedes-Benz Financial Services at participating dealers through April 1, 2019. Not everyone will qualify. This FMV lease is based on a $519 monthly payment, for 36 months, with 15k annual miles, a base MSRP of $34,800, plus a Destination and Delivery fee of $1,195, a residual value of $16,558 (46% of total MSRP), a $5,427 Capitalized Cost Reduction (which consists of MBUSA Lease Cash of $1,000, a customer down payment of $4,067, and a suggested Dealer Contribution of $360). Dealer Contribution may vary and could affect your actual lease payment. 156Complimentary VanCARE Lease-End Protection offer applicable to Commercial Vans – FMV Leases for Model Year 2019 Metris Vans with 36 month lease term. Must meet Tier A or B credit approval as determined by MBFS. Complimentary VanCare Lease-End Protection will waive specified charges incurred by lessee for failing to meet the surrender conditions of the vehicle leased, up to the maximum amount waived of $7,500. VanCare Lease-End Protection does not cover any excess mileage charges, may not waive all charges incurred for failing to meet the Surrender Conditions, and may not waive the entire balance owed under the lease agreement. Certain exclusions apply. Please see dealer for more information. 154Available only to qualified customers for the 2019 Metris Passenger Van through Mercedes-Benz Financial Services at participating dealers through April 1, 2019. Not everyone will qualify. This FMV lease is based on a $619 monthly payment, for 24 months, with 15k annual miles, a base MSRP of $34,800, plus a Destination and Delivery fee of $1,195, a residual value of $18,717 (52% of total MSRP), a $5,661 Capitalized Cost Reduction (which consists of MBUSA Lease Cash of $1,000, a customer down payment of $4,301, and a suggested Dealer Contribution of $360). Dealer Contribution may vary and could affect your actual lease payment. 153Complimentary VanCARE Lease-End Protection offer applicable to Commercial Vans – FMV Leases for Model Year 2019 Metris Vans with 24 month lease term. Must meet Tier A or B credit approval as determined by MBFS. Complimentary VanCare Lease-End Protection will waive specified charges incurred by lessee for failing to meet the surrender conditions of the vehicle leased, up to the maximum amount waived of $7,500. VanCare Lease-End Protection does not cover any excess mileage charges, may not waive all charges incurred for failing to meet the Surrender Conditions, and may not waive the entire balance owed under the lease agreement. Certain exclusions apply. Please see dealer for more information. 148Only valid on 2019 Mercedes-Benz Metris Vans. Qualified commercial customers only. 2.9% APR financing for 24 months at $42.94 per month, per $1,000 financed and 2.9% APR financing for 36 months at $29.04 per month, per $1,000 financed. Excludes leases and balloon contracts and National Fleet customers. Available only at participating authorized Mercedes-Benz Vans dealers through Mercedes-Benz Financial Services (MBFS). Must take delivery of vehicle by April 1, 2019. Specific vehicles are subject to availability and may have to be ordered. Subject to credit approval by MBFS. Actual rates, terms, down payment, and program eligibility will be determined by MBFS Credit Team based upon creditworthiness of customer. Program rates or terms may be changed or the program may be terminated at any time at the sole discretion of MBFS. Rate applies only to Mercedes-Benz Commercial van vehicles. To qualify, the total amount financed cannot exceed 110% of MSRP. See your authorized Mercedes-Benz Vans dealer for complete details on this and other finance offers. Offer valid through April 1, 2019. For a limited time, take advantage of 3.9% APR financing on a new 2019 Mercedes-Benz Metris Van. 149Only valid on 2019 Mercedes-Benz Metris Vans. Qualified commercial customers only. 3.9% APR financing for 48 months at $22.53 per month, per $1,000 financed. Excludes leases and balloon contracts and National Fleet customers. Available only at participating authorized Mercedes-Benz Vans dealers through Mercedes-Benz Financial Services (MBFS). Must take delivery of vehicle by April 1, 2019. Specific vehicles are subject to availability and may have to be ordered. Subject to credit approval by MBFS. Actual rates, terms, down payment, and program eligibility will be determined by MBFS Credit Team based upon creditworthiness of customer. Program rates or terms may be changed or the program may be terminated at any time at the sole discretion of MBFS. Rate applies only to Mercedes-Benz Commercial van vehicles. To qualify, the total amount financed cannot exceed 110% of MSRP. See your authorized Mercedes-Benz Vans dealer for complete details on this and other finance offers. Offer valid through April 1, 2019. For a limited time, take advantage of 4.9% APR financing on a new 2019 Mercedes-Benz Metris Van. 150Only valid on 2019 Mercedes-Benz Metris. Qualified commercial customers only. 4.9% APR financing for 60 months at $18.83 per month, per $1,000 financed. Excludes leases and balloon contracts and National Fleet customers. Available only at participating authorized Mercedes-Benz Vans dealers through Mercedes-Benz Financial Services (MBFS). Must take delivery of vehicle by April 1, 2019. Specific vehicles are subject to availability and may have to be ordered. Subject to credit approval by MBFS. Actual rates, terms, down payment, and program eligibility will be determined by MBFS Credit Team based upon creditworthiness of customer. Program rates or terms may be changed or the program may be terminated at any time at the sole discretion of MBFS. Rate applies only to Mercedes-Benz Commercial van vehicles. To qualify, the total amount financed cannot exceed 110% of MSRP. See your authorized Mercedes-Benz Vans dealer for complete details on this and other finance offers. Offer valid through April 1, 2019. For a limited time, take advantage of 5.9% APR financing on a new 2019 Mercedes-Benz Metris Van. 151Only valid on 2019 Mercedes-Benz Metris Vans. Qualified commercial customers only. 5.9% APR financing for 72 months at $16.53 per month, per $1,000 financed. Excludes leases and balloon contracts and National Fleet customers. Available only at participating authorized Mercedes-Benz Vans dealers through Mercedes-Benz Financial Services (MBFS). Must take delivery of vehicle by April 1, 2019. Specific vehicles are subject to availability and may have to be ordered. Subject to credit approval by MBFS. Actual rates, terms, down payment, and program eligibility will be determined by MBFS Credit Team based upon creditworthiness of customer. Program rates or terms may be changed or the program may be terminated at any time at the sole discretion of MBFS. Rate applies only to Mercedes-Benz Commercial van vehicles. To qualify, the total amount financed cannot exceed 110% of MSRP. See your authorized Mercedes-Benz Vans dealer for complete details on this and other finance offers. Offer valid through April 1, 2019. Get 2.9% APR Financing up to 36 months166! 166Only valid on 2019 Mercedes-Benz Sprinter Vans (excluding Cab Chassis). Qualified commercial customers only. 2.9% APR financing for 24 months at $42.94 per month, per $1,000 financed and 2.9% APR financing for 36 months at $29.04 per month, per $1,000 financed. Excludes leases and balloon contracts and National Fleet customers. Available only at participating authorized Mercedes-Benz Vans dealers through Mercedes-Benz Financial Services (MBFS). Must take delivery of vehicle by April 1, 2019. Specific vehicles are subject to availability and may have to be ordered. Subject to credit approval by MBFS. Actual rates, terms, down payment, and program eligibility will be determined by MBFS Credit Team based upon creditworthiness of customer. Program rates or terms may be changed or the program may be terminated at any time at the sole discretion of MBFS. Rate applies only to Mercedes-Benz Commercial van vehicles. To qualify, the total amount financed cannot exceed 110% of MSRP. See your authorized Mercedes-Benz Vans dealer for complete details on this and other finance offers. Offer valid through April 1, 2019. Get 3.9% APR Financing up to 48 months167! For a limited time, take advantage of 3.9% APR financing on a new 2019 Mercedes-Benz Sprinter Van. 167Only valid on 2019 Mercedes-Benz Sprinter Vans (excluding Cab Chassis). Qualified commercial customers only. 3.9% APR financing for 48 months at $22.53 per month, per $1,000 financed. Excludes leases and balloon contracts and National Fleet customers. Available only at participating authorized Mercedes-Benz Vans dealers through Mercedes-Benz Financial Services (MBFS). Must take delivery of vehicle by April 1, 2019. Specific vehicles are subject to availability and may have to be ordered. Subject to credit approval by MBFS. Actual rates, terms, down payment, and program eligibility will be determined by MBFS Credit Team based upon creditworthiness of customer. Program rates or terms may be changed or the program may be terminated at any time at the sole discretion of MBFS. Rate applies only to Mercedes-Benz Commercial van vehicles. To qualify, the total amount financed cannot exceed 110% of MSRP. See your authorized Mercedes-Benz Vans dealer for complete details on this and other finance offers. Offer valid through April 1, 2019. Get 4.9% APR Financing up to 60 months168! For a limited time, take advantage of 4.9% APR financing on a new 2019 Mercedes-Benz Sprinter Van. 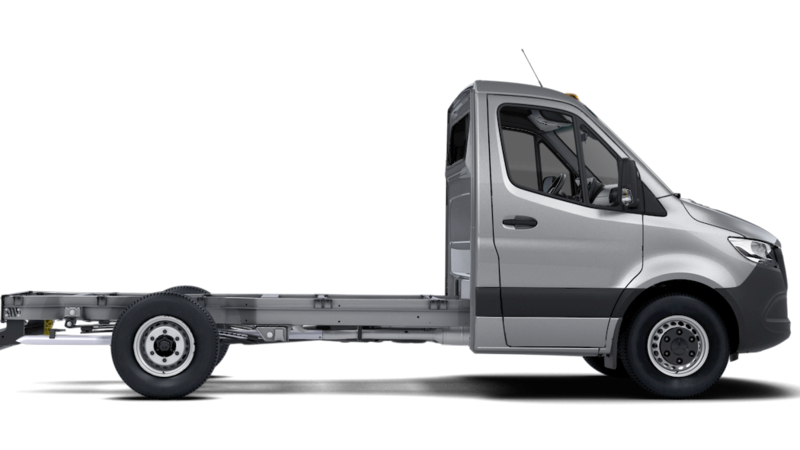 168Only valid on 2019 Mercedes-Benz Sprinter (excluding Cab Chassis). Qualified commercial customers only. 4.9% APR financing for 60 months at $18.83 per month, per $1,000 financed. Excludes leases and balloon contracts and National Fleet customers. Available only at participating authorized Mercedes-Benz Vans dealers through Mercedes-Benz Financial Services (MBFS). Must take delivery of vehicle by April 1, 2019. Specific vehicles are subject to availability and may have to be ordered. Subject to credit approval by MBFS. Actual rates, terms, down payment, and program eligibility will be determined by MBFS Credit Team based upon creditworthiness of customer. Program rates or terms may be changed or the program may be terminated at any time at the sole discretion of MBFS. Rate applies only to Mercedes-Benz Commercial van vehicles. To qualify, the total amount financed cannot exceed 110% of MSRP. See your authorized Mercedes-Benz Vans dealer for complete details on this and other finance offers. Offer valid through April 1, 2019. Get 5.9% APR Financing up to 72 months169! For a limited time, take advantage of 5.9% APR financing on a new 2019 Mercedes-Benz Sprinter Van. 169Only valid on 2019 Mercedes-Benz Sprinter Vans (excluding Cab Chassis). Qualified commercial customers only. 5.9% APR financing for 72 months at $16.53 per month, per $1,000 financed. Excludes leases and balloon contracts and National Fleet customers. Available only at participating authorized Mercedes-Benz Vans dealers through Mercedes-Benz Financial Services (MBFS). Must take delivery of vehicle by April 1, 2019. Specific vehicles are subject to availability and may have to be ordered. Subject to credit approval by MBFS. Actual rates, terms, down payment, and program eligibility will be determined by MBFS Credit Team based upon creditworthiness of customer. Program rates or terms may be changed or the program may be terminated at any time at the sole discretion of MBFS. Rate applies only to Mercedes-Benz Commercial van vehicles. To qualify, the total amount financed cannot exceed 110% of MSRP. See your authorized Mercedes-Benz Vans dealer for complete details on this and other finance offers. Offer valid through April 1, 2019. 170Available only to qualified customers for the 2019 Sprinter Cargo Van through Mercedes-Benz Financial Services at participating dealers through April 1, 2019. Not everyone will qualify. This FMV lease is based on a $669 monthly payment, for 24 months, with 15k annual miles, a base MSRP of $39,790, plus a Destination and Delivery fee of $1,195, a residual value of $24,181 (59% of total MSRP), a $4,738 Capitalized Cost Reduction (which consists of MBUSA Lease Cash of $1,500, a customer down payment of $2,828, and a suggested dealer contribution of $410). Dealer Contribution may vary and could affect your actual lease payment. 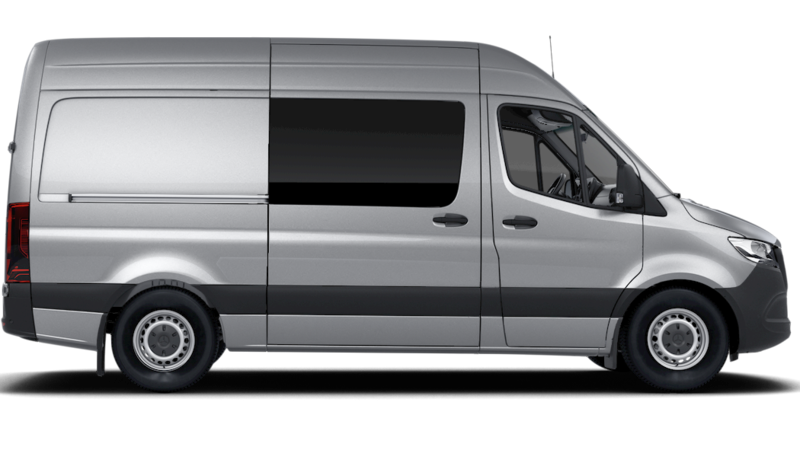 171Complimentary VanCARE Lease-End Protection offer applicable to Commercial Vans – FMV Leases for Model Year 2019 Sprinter Vans with 24 month lease term. Must meet Tier A or B credit approval as determined by MBFS. Complimentary VanCare Lease-End Protection will waive specified charges incurred by lessee for failing to meet the surrender conditions of the vehicle leased, up to the maximum amount waived of $7,500. VanCare Lease-End Protection does not cover any excess mileage charges, may not waive all charges incurred for failing to meet the Surrender Conditions, and may not waive the entire balance owed under the lease agreement. Certain exclusions apply. Please see dealer for more information. 172Available only to qualified customers for the 2019 Sprinter Passenger Van through Mercedes-Benz Financial Services at participating dealers through April 1, 2019. Not everyone will qualify. This FMV lease is based on a $769 monthly payment, for 24 months, with 15k annual miles, a base MSRP of $48,990, plus a Destination and Delivery fee of $1,195, a residual value of $29,609 (59% of total MSRP), a $6,920 Capitalized Cost Reduction (which consists of MBUSA Lease Cash of $1,500, a customer down payment of $4,918, and a suggested Dealer Contribution of $502). Dealer Contribution may vary and could affect your actual lease payment. 173Available only to qualified customers for the 2019 Sprinter Cargo Van through Mercedes-Benz Financial Services at participating dealers through April 1, 2019. Not everyone will qualify. This FMV lease is based on a $629 monthly payment, for 36 months, with 15k annual miles, a base MSRP of $39,790, plus a Destination and Delivery fee of $1,195, a residual value of $21,312 (52% of total MSRP), a $2,894 Capitalized Cost Reduction (which consists of MBUSA Lease Cash of $1,500 and a customer down payment of $984 and a suggested dealer contribution of $410). Dealer Contribution may vary and could affect your actual lease payment. 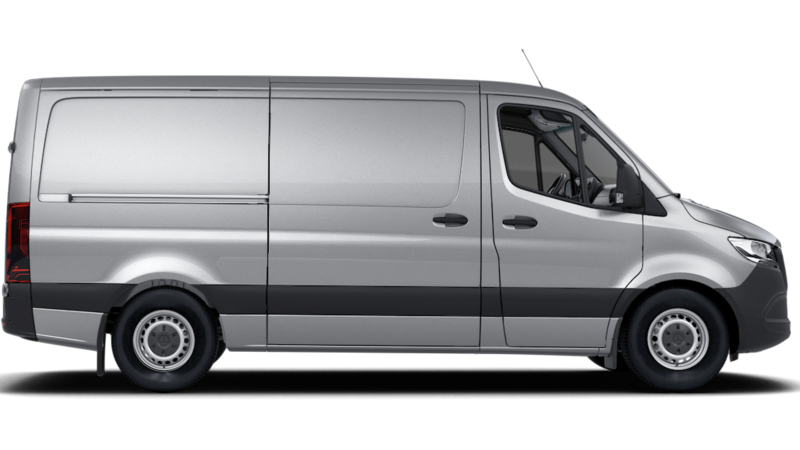 174Complimentary VanCARE Lease-End Protection offer applicable to Commercial Vans – FMV Leases for Model Year 2019 Sprinter Vans with 36 month lease term. Must meet Tier A or B credit approval as determined by MBFS. Complimentary VanCare Lease-End Protection will waive specified charges incurred by lessee for failing to meet the surrender conditions of the vehicle leased, up to the maximum amount waived of $7,500. VanCare Lease-End Protection does not cover any excess mileage charges, may not waive all charges incurred for failing to meet the Surrender Conditions, and may not waive the entire balance owed under the lease agreement. Certain exclusions apply. Please see dealer for more information. 175Available only to qualified customers for the 2019 Sprinter Passenger Van through Mercedes-Benz Financial Services at participating dealers through April 1, 2019. Not everyone will qualify. This FMV lease is based on a $729 monthly payment, for 36 months, with 15k annual miles, a base MSRP of $48,990, plus a Destination and Delivery fee of $1,195, a residual value of $25,594 (51% of total MSRP), a $5,314 Capitalized Cost Reduction (which consists of MBUSA Lease Cash of $1,500, a customer down payment of $3,312, and a suggested Dealer Contribution of $502). Dealer Contribution may vary and could affect your actual lease payment. 176Available only to qualified customers for the 2019 Sprinter Cargo Van through Mercedes-Benz Financial Services at participating dealers through April 1, 2019. Not everyone will qualify. This FMV lease is based on a $559 monthly payment, for 48 months, with 15k annual miles, a base MSRP of $39,790, plus a Destination and Delivery fee of $1,195, a residual value of $18,033 (44% of total MSRP), a $3,467 Capitalized Cost Reduction (which consists of MBUSA Lease Cash of $1,500, a customer down payment of $1,557, and a suggested dealer contribution of $410). Dealer Contribution may vary and could affect your actual lease payment. 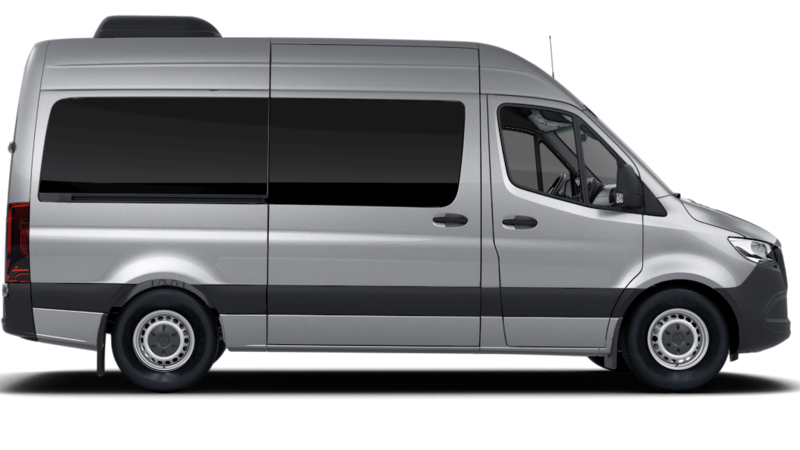 177Complimentary VanCARE Lease-End Protection offer applicable to Commercial Vans – FMV Leases for Model Year 2019 Sprinter Vans with 48 month lease term. Must meet Tier A or B credit approval as determined by MBFS. Complimentary VanCare Lease-End Protection will waive specified charges incurred by lessee for failing to meet the surrender conditions of the vehicle leased, up to the maximum amount waived of $7,500. VanCare Lease-End Protection does not cover any excess mileage charges, may not waive all charges incurred for failing to meet the Surrender Conditions, and may not waive the entire balance owed under the lease agreement. Certain exclusions apply. Please see dealer for more information. 178Available only to qualified customers for the 2019 Sprinter Passenger Van through Mercedes-Benz Financial Services at participating dealers through April 1, 2019. Not everyone will qualify. This FMV lease is based on a $649 monthly payment, for 48 months, with 15k annual miles, a base MSRP of $48,990, plus a Destination and Delivery fee of $1,195, a residual value of $22,583 (45% of total MSRP), a $5,339 Capitalized Cost Reduction (which consists of MBUSA Lease Cash of $1,500, a customer down payment of $3,337, and a suggested Dealer Contribution of $502). Dealer Contribution may vary and could affect your actual lease payment. 179 Offer valid only to qualified customers with purchase of 2018 or 2019 Metris Vans, or 2018 or 2019 Sprinter Vans not from new dealer stock. MasterSolutionsTM program vehicles are custom, special-order vehicles modified by the MasterSolutionsTM provider chosen by you (Including Auto Truck Group, Knapheide and Transit Works). Offer does not apply to Sprinter Worker, Metris Worker and fleet vehicles. Customers who purchase are able to get up to $1000 cash toward any MasterSolutionsTM Packages for Metris or up to $2000 cash toward any MasterSolutionsTM Packages for Sprinter. Exclusions may apply. MBUSA reserves the right to terminate, revise, or amend the program in its sole business discretion. Please see your authorized Mercedes-Benz dealer for details. Offer ends April 1, 2019. 179Small Business offer valid only to qualified customers with purchase of eligible new/unused 2019 and newer Metris and Sprinter Commercial Vehicles. Qualified customers must have 5 – 24 vehicles currently registered in their fleet, which requires proof of registration or an insurance policy. The level of discount is applicable at the time of vehicle order. Offer does not apply to Sprinter SmartLiner Shells, Metris Worker, Medium Fleet, and National/International Fleet vehicles. Additional exclusions apply. MBUSA reserves the right to terminate, revise, or amend the program in its sole business discretion. Please see your authorized Mercedes-Benz Commercial Vehicles dealer for full offer details. Offer ends April 1, 2019.